What a way to tell someone how you feel. 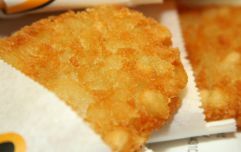 There's been a lot of McDonald's themed news out there as of late. 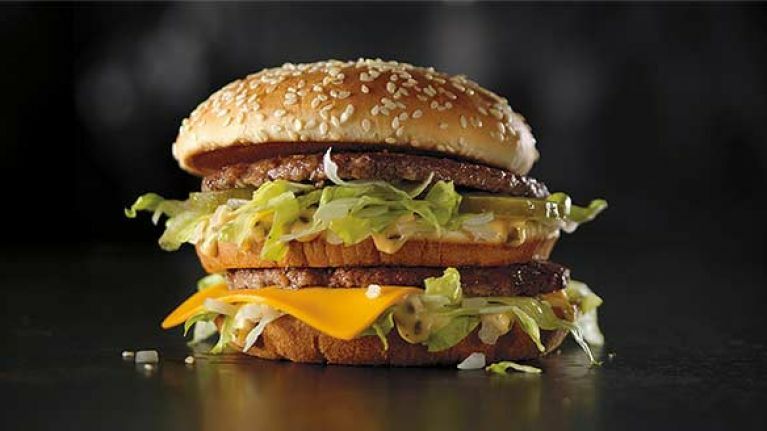 Not only are the fast-food restaurant planning on offering a literal three-course meal in one of their Birmingham stores, but there's also a Grand BigMac launching in Ireland soon. The good news doesn't stop there though because the lads over in the States have gone and come up with their own way to celebrate the commercial hell that is Valentine's Day. ... By offering people the chance to win a diamond-encrusted BigMac. The BigMac in question is made out of seven tiers of gems and diamonds, with champagne diamonds acting as the meat, tsavorite as the lettuce and all the rest, and orange sapphire as the secret special sauce. Designed by jeweller, Nadine Ghosn, the 18k gold 'BlingMac' can be won by simply just tweeting some lovely vows to the BigMac over on the @McDonalds Twitter page. You don't even have to buy anything and could be walking away with this stunning diamond-encrusted burger. Unfortunately though, the only people eligible to enter are those living in America, which is a shame because who among us wouldn't love an 18k gold BigMac hanging around the gaf?